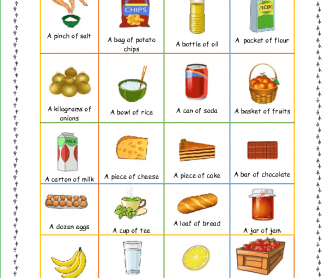 This worksheet is appropriate for teaching and reviewing food quantities. 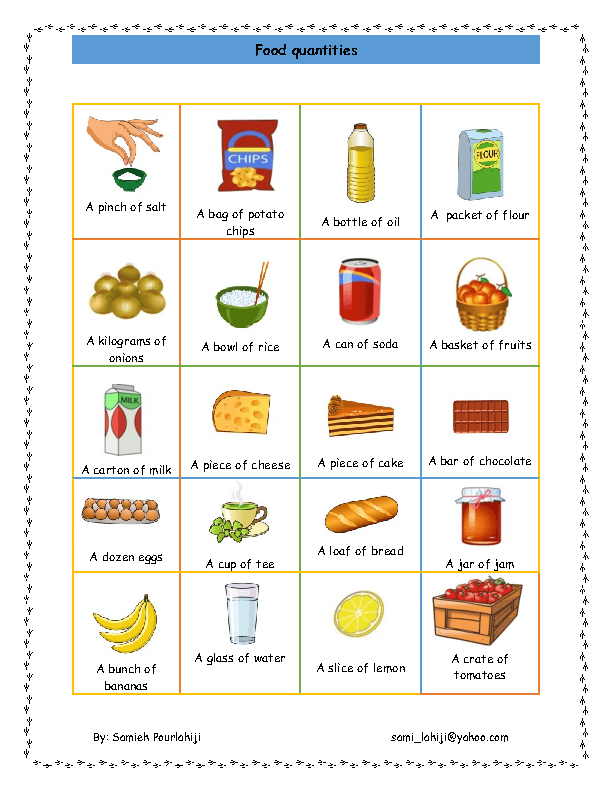 This worksheet includes two pages, first it contains some pictures with detailed sentences, and in second page there are some concept checking questions. It's appropriate for young learners and elementary students.